Etosha has three main camps that connect the Andersson Gate in the south with the Von Lindequist Gate in the east. 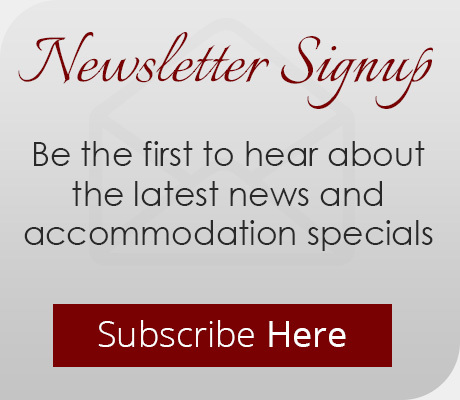 These camps offer accommodation in chalets or double rooms, and the campsites provide you with the opportunity to get back in-touch with nature. The camps also offer swimming pools, restaurants and floodlit waterholes that tempt you to linger a bit longer and make your trip easier by offering shops and petrol stations that cater to the independent travellers as well. 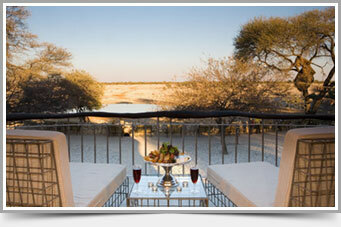 is perched on a hill in the exclusive western part of Etosha National Park. Luxuriously appointed safari style tents offer views of a vast area that has been almost untouched by tourism. 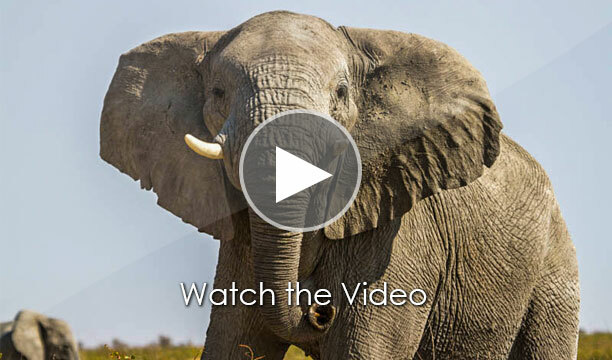 Several waterholes offer great game sightings. 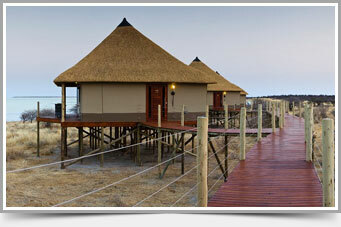 is set on wooden platforms right on the edge of the Etosha Pan. The views of the park’s characteristic park change from flickering mirages to flocks of flamingo depending on the season. 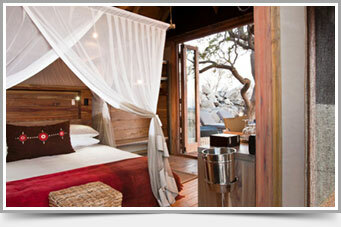 The camp has a minimal environmental impact and offer game drives in an exclusive area of the park. is famous for its floodlit water hole. Here you will see lion elephant and rhino drinking side by side. 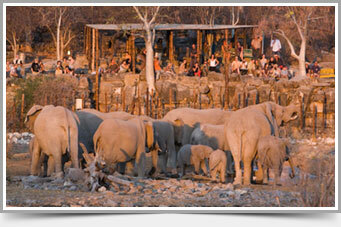 Etosha’s busiest camp offers chalets with views of the waterhole and is structured around a tall stone tower. 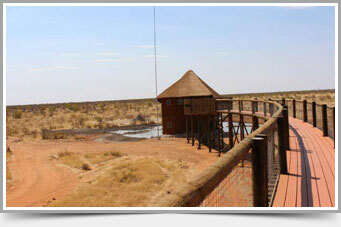 is centrally located in the park within close proximity of some of the most popular waterholes. The camp has a floodlit waterhole and the largest swimming pool in the park. is a former German fort. The tall white protective walls of the fort give this camp a unique personality. 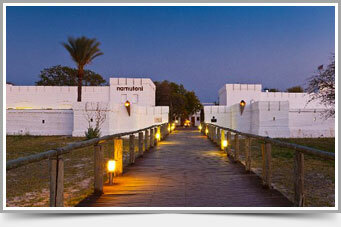 Two restaurants offer a wide variety of tasty meals and sundowners on the fort’s walls are a must when visiting Namutoni. Olifantsrus is Etosha’s newest camp and the first accommodation option in the park to offer a camping only experience, allowing you to feel that little bit closer to the incredible African bush all around you.